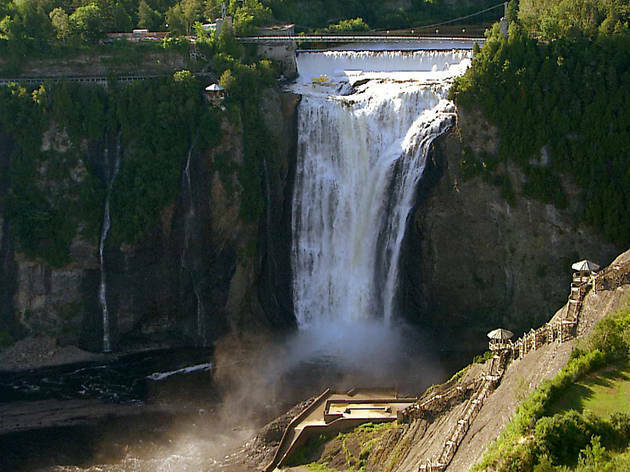 There's a lot more to see in Quebec than Montreal. 1. Go biking. 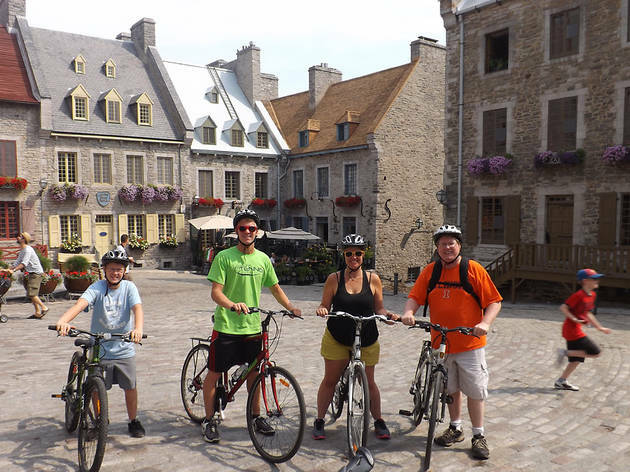 Biking is a fantastic way to take in the scenery in just about any part of Quebec. 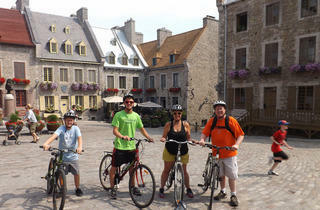 Take a city bicycle tour in Quebec City with Cyclo Services. Try a motorized bicycle to tackle the hills of Charlevoix at Charlevoix Eco-Mobilite. Or go the super-easy route in Montreal with the public BIXI system. Bikes are stored at pay stations scattered throughout town. Rent one for an hour, a day or longer, then drop it off at your destination and grab another one when you&rsquo;re ready to roll again. Photograph: Jean-François Hamelin2. Go to a festival. 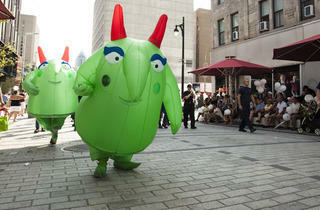 The streets of Quebec are filled with entertainment in the summer months. 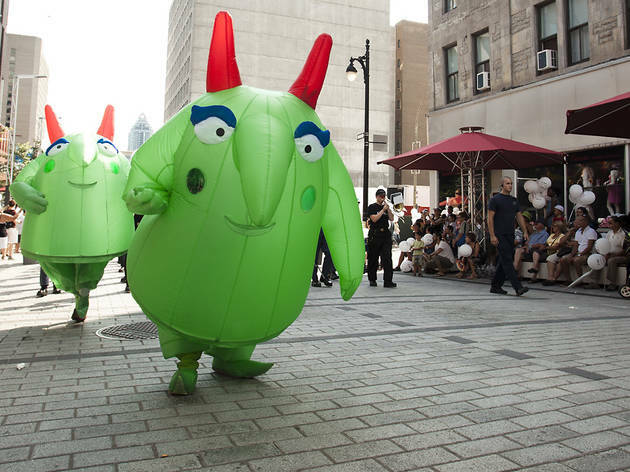 Though many events require a ticket or multi-day pass, it&rsquo;s also possible to simply stroll down the streets and see free shows during the Just for Laughs festival or International Festival of Circus Arts in Montreal. Quebec City&rsquo;s version of Lollapalooza spans two mammoth weeks in July, when the Festival d&rsquo;ete de Quebec, Canada&rsquo;s largest outdoor music festival, brings more than 1,000 artists to multiple stages in the heart of Quebec City. Past acts have included The Black Eyed Peas, Bon Jovi, Roger Waters, Sting and Paul McCartney. Buy a ticket, or grab a seat atop Quebec City&rsquo;s historic walled fort and catch a show on the festival&rsquo;s free stage. 3. See a waterfall that&rsquo;s taller than Niagra Falls. 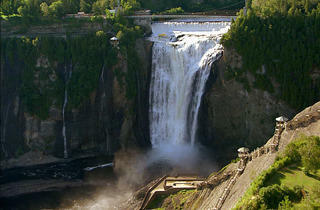 The spectacular Montmorency Falls is 1.5 times as high as the famed Niagra Falls. Admire its beauty from a cable car, or hike one of several lookouts for a different vantage. Kids will enjoy the colorful stories told by costumed historical characters, and everyone will love lunch or dinner at Manoir Montmorency, home to a fine-dining restaurant, caf&eacute; and gift shop. 4. Walk on top of a fort and sit on cannons. 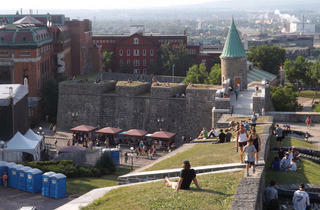 Quebec City owes much of its charm to the tall brick walls built in the 18th Century to protect the city from enemy fire. Today, it is the only walled city in North America. 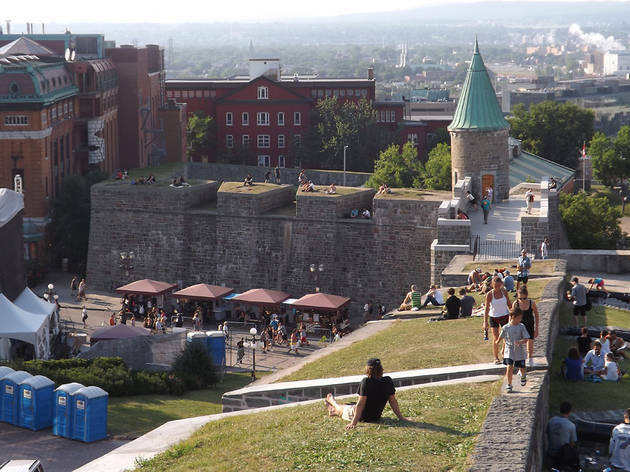 Visitors can take a stroll along the grassy tops of the walled fort and pose for photos alongside (or on top of) the many cannons that still surround the perimeter of Old Quebec. Learn more about the French and Indian War, the Battle of Quebec and the city&rsquo;s tumultuous history under British rule with a Cicerone walking tour. 5. Eat dinner in a castle. 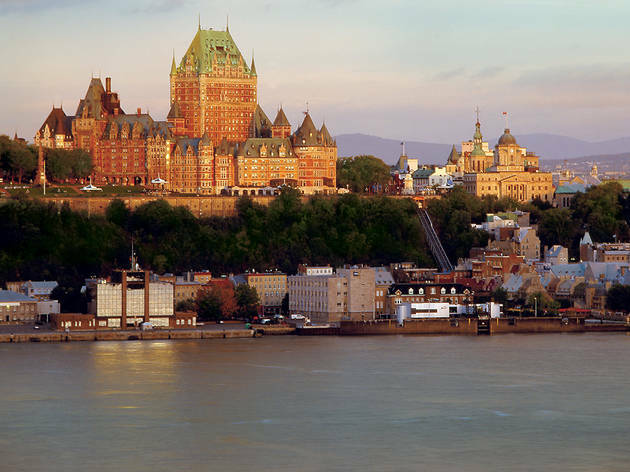 It&rsquo;s no surprise that Le Chateau Frontenac is the most photographed hotel in the world. 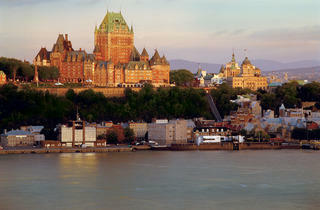 A stunning, old-world castle nestled alongside the Saint Lawrence River, the hotel oozes charm and elegance. The hotel is celebrating its 120th birthday with a number of specials and events throughout 2013, but even if you can&rsquo;t afford to stay on property (summer rates start around $360/night), don&rsquo;t miss the gastronomic buffet at Caf&eacute; de la Terrasse. 6. 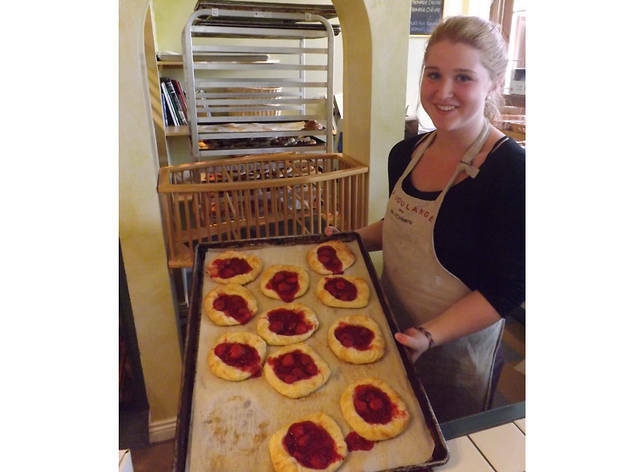 Eat your way around an island.Located just outside of Quebec City in the middle of the Saint Lawrence River, the Ile d&rsquo;Orleans is a foodie&rsquo;s paradise. Sure, you could use your time there to learn about agriculture, but that would leave less time to drink wine while eating lunch in the middle of a vineyard, eat ice cream dipped in housemade dark chocolate or indulge in rich, fried cheese made at fresh at the island fromage shop. Find a complete list of shops and attractions here. 7. 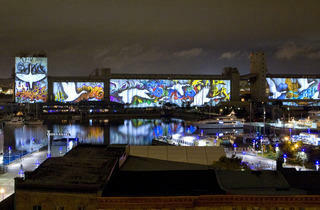 Watch a light show on grain silos.Yep, that&rsquo;s right, grain silos. 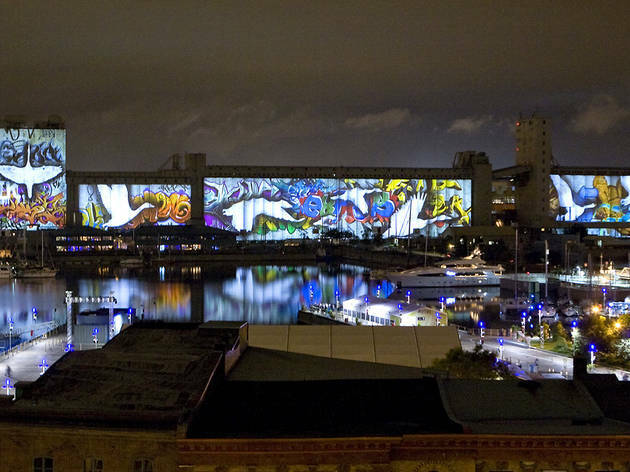 The Image Mill in Quebec City is a breathtaking 50-minute movie/light show projected onto grain silos, measuring more than 1,900-feet wide and nearly 100-feet tall. 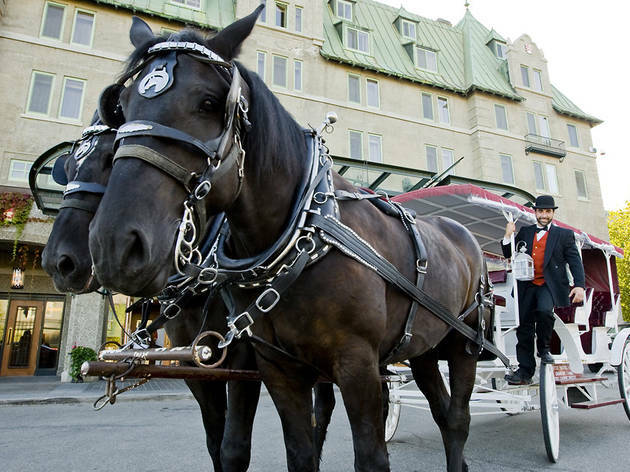 There&rsquo;s no better way to learn about Quebec City&rsquo;s history. 8. 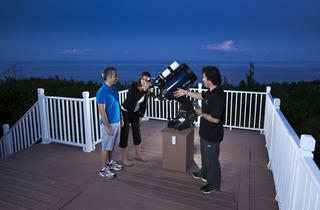 See the stars from atop a cliff.The open skies of Charlevoix make stargazing easy, even with the naked eye. 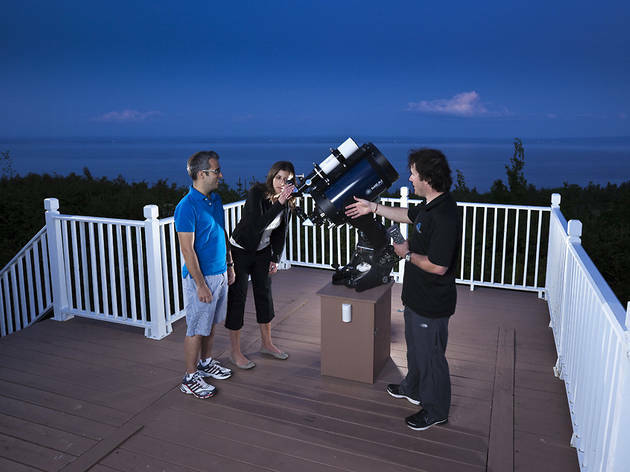 But the Observatoire Astronomique de Charlevoix takes the experience to a whole new level with a high-powered telescope that gives visitors a closeup view of the mysteries of our galaxy. A guide leads you through a multimedia presentation and interactive telescope experience (Be sure to speak up if your guide is only giving the presentation in French. They are happy to deliver the details in English as well). The observatory is located at the Vieux Club House at the Fairmont Le Manoir Richelieu, Le Chateau Frontenac&rsquo;s sister property in scenic Charlevoix. Photograph: Hugo-Sebastien AUBERT 9. Take a (free!) horse-drawn carriage ride.A carriage ride with the family is a fine option in almost any city, but how often can you do it for free? 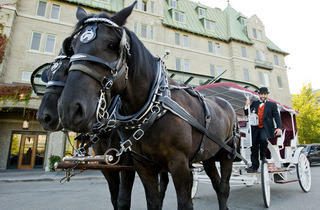 Guests of the Fairmont Le Manoir Richelieu can schedule a 15-minute ride at no charge. A longer ride through the quaint downtown and alongside the river is available for a fee. Photograph: Amy Carr 10. 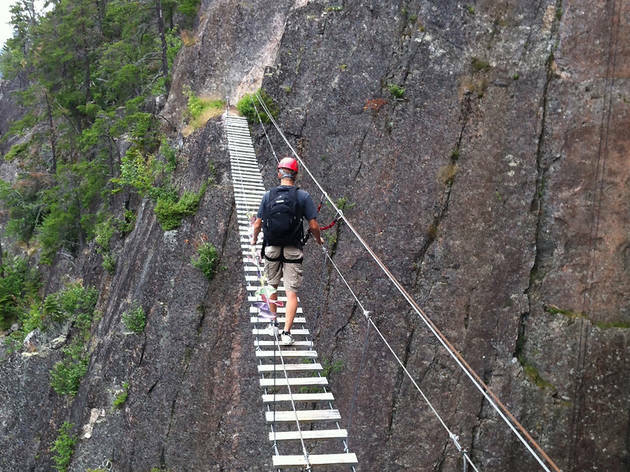 Go rock climbing.&nbsp;There&rsquo;s no better way to experience the mountainous region of Charlevoix than by clinging to the rocky terrain at Les Palissades de Charlevoix. 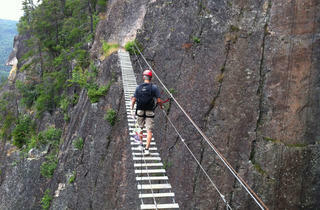 The park offers guided via ferrata climbing tours, hiking, ziplining and a terrifying trip across a suspension bridge. 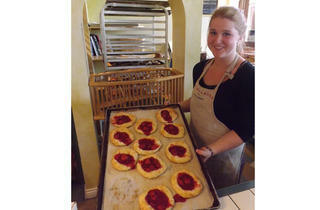 It&rsquo;s a don&rsquo;t miss for adventurous tweens and teens. Find out more about our climbing experience here.